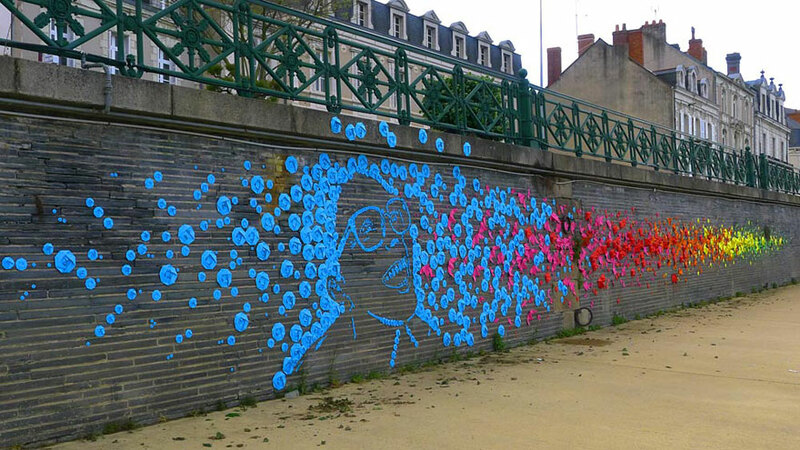 As a part of the 2013 Artaq Festival, french artist Mademoiselle Maurice presented three new pieces of paper street art in the city of Angers, France. 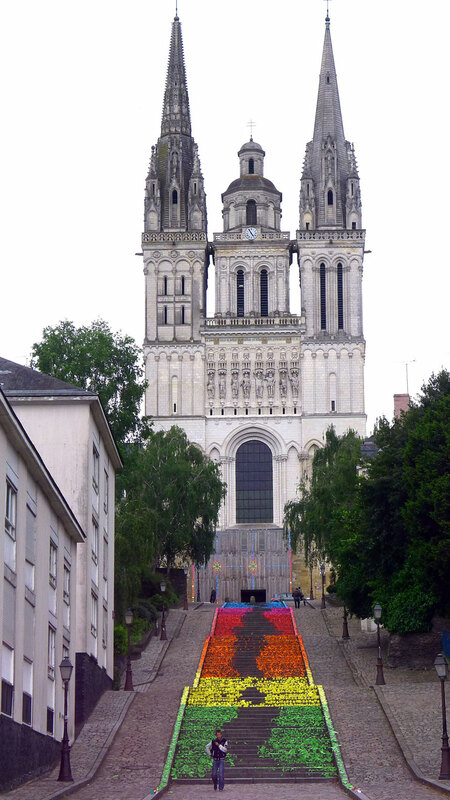 The Saint-Maurice cathedral was adorned with two installations—a geometric pattern on the front gate and a rainbow of origami on the front steps. 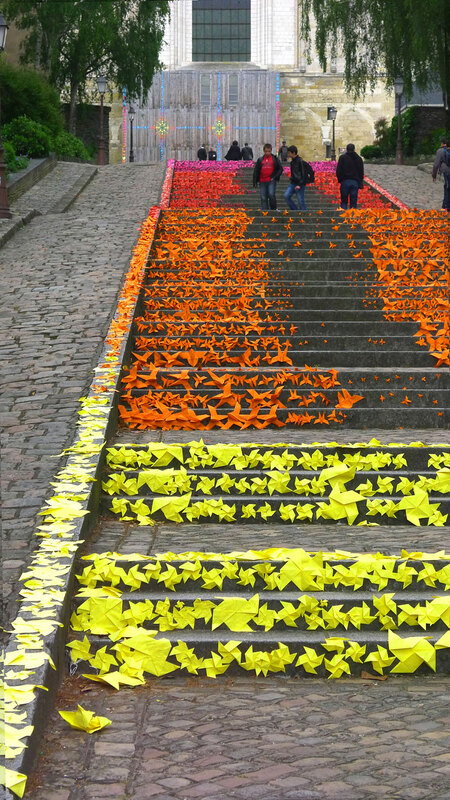 A third installation, a massive origami mural, was placed on the banks of the Maine river. 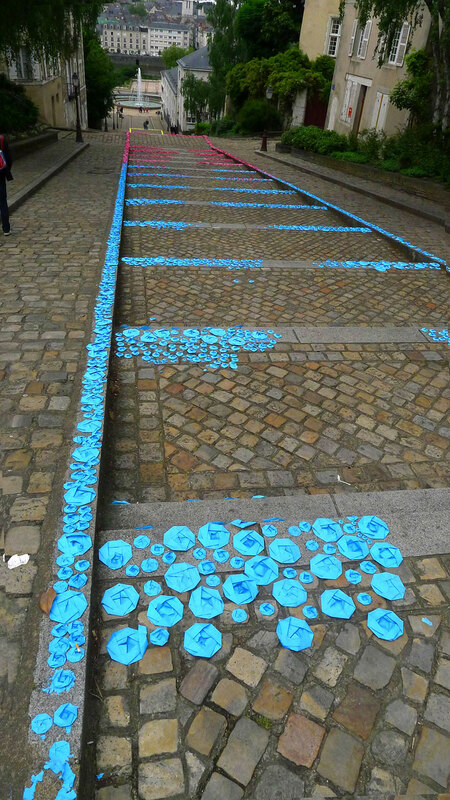 Would you like to see these in your city?